This cake, which was enjoyed at the 3D Archaeological Society Christmas Dinner, is of a ruined Roman floor – complete with hypocaust, mosaic floor, walls and flues. The border mosaics display the society name, and the creature in black is a smiling squid, which we saw as part of the mosaic floor in the Roman villa at Milreu near Estoi in the Algarve, Portugal, during the society’s trip earlier in the year. Everything on the cake was edible and, indeed, was devoured on the night! 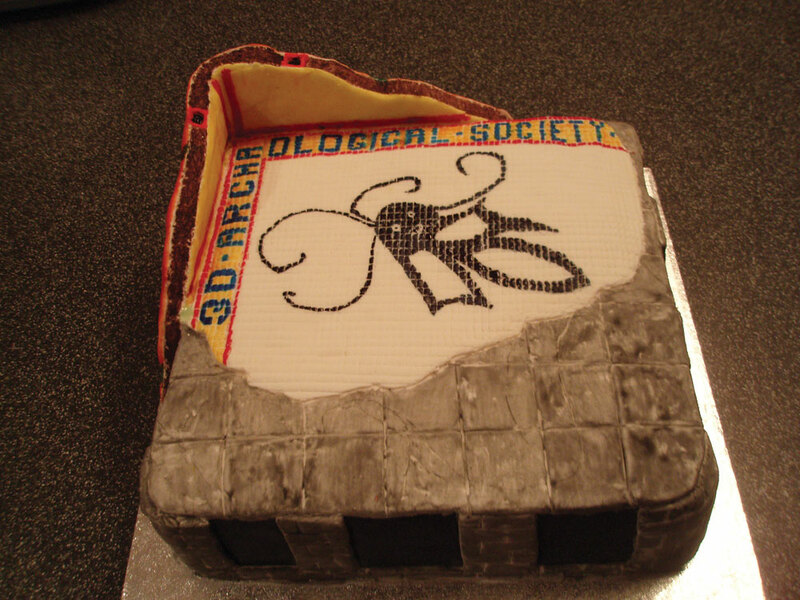 This edition of edible archaeology appeared in issue 253 of Current Archaeology.